We met with management of E.A. 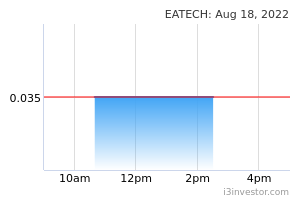 Technique (EAT) recently to get updates on its business prospects as well as further clarity post-4Q financial results. While the recent full-year FY18 earnings saw the Group’s earnings turn back into the black with a core net profit of RM34.4m from a loss last year, we reckon future numbers will be even better. Overall, we continue to like EAT and remain optimistic over its future direction given its slow but steady growth on the back of its i) involvement in a relatively defensive industry regardless of oil price movements, ii) stable business with more than 70% of its contracts on long-term charters, iii) resilient earnings visibility up to FY21 from its balance orderbook of RM883.6m, and iv) strong potential in securing new contracts from its RM1.2bn tender book. Our Outperform rating on EAT is affirmed with an unchanged TP of RM0.73, based on 10x PER over its FY19 EPS. With forward valuations inexpensive given the recent share price decline, we believe it is opportune for investors to start accumulating at current levels. Slight confusion in 4QFY18 numbers, but purely on accounting adjustment. 4QFY18 financial results gave rise to some confusion, though this was mainly due to accounting adjustments on previous writeback of EPCIC project settlement. Correspondingly, EAT recorded a revenue of RM218.5m and net loss of RM33.4m. Stripping off this accounting adjustment, together with other exceptional items, EAT’s core earnings stood at RM9.4m. Cumulatively, EAT’s full-year FY18 earnings turned back into the black with core net profit of RM34.4m (>100% YTD), beating our estimates by 15%. The performance was attributed to i) increased revenue recognition from marine transport services due to new charter hire fees derived from FSU Nautica Muar and Nautica Gambir. Expecting much better numbers ahead. We expect the Group to deliver even stronger earnings moving forward which will be supported by its healthy outstanding orderbook in hand at about RM667m with additional RM216.6m for extension. We have assumed combined orderbook of RM883.6m in our forecast as we believe clients will exercise the extension options given the Group’s good track record and business relationship. In addition, dry-docking activities for FY19 onwards will be lesser than FY18. Recall, there were 4 dry-docks that have been undertaken in FY18 including 2 that were brought forward from FY17 due to shortage of capacity. As such, the number of dry docking activities will normalize in FY19 onwards. That said, we maintain our conservative stance on our projections with average earnings growth of c. 6.5% for FY19-21. Healthy outstanding orderbook. In FY18, EAT had secured multiple contracts with a combined value of RM120m, bringing its total outstanding orderbook in hand to a healthy RM883.6m including the extension options. These translate to about 3.2x of marine operations’ revenue. Of the total orderbook, 54.3% is from port operations, followed by 24.3% from product tankers. The details of segmental breakdown are available in Table 1. On average, the contracts life span is about 3 years. Tender book is growing by >35%. We reiterate that the Group’s fundamental outlook remains strong on the back of improved sentiment and activities in the oil and gas industry given prices being currently stable at above USD60/bbl, evidently from its growing tender book by >35%. The Group’s tender book was about RM900m (excluding umbrella contract) with a total c. RM120m being secured last year. As of March 2019, we understand that the group’s tender book has grown to RM1.2bn with the management’s targeted success rate of about 30%, translating to RM360m worth of projects. Possible fund raising to continue on growth path. As of Dec 2018, EAT’s net debt increased by RM43.6m to RM386.6m as compared to RM343.1m in the previous quarter. As such, net gearing in 4QFY18 grew to 1.70x from 1.32x in 3QFY18. Reason for the uptick in borrowing is due to shareholders’ advances which are now reclassified as borrowings from payables previously. In addition, there were 2 new fast crew boats bought last year. Nevertheless, excluding the total shareholders loan amounting to RM60.8m, the Group’s adjusted net gearing for 4QFY18 will be at 1.4x versus 1.3x in 3QFY18 and 2.6x in Dec 2017, relatively stable as they are mostly supported by long-term contracts. 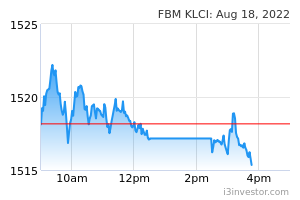 Having said that, should management’s target of securing c. RM360m worth of new contracts this year materialize, we expect there might be the possibility of fund raising via equities though we are positive this will augment its capacity to continue growing. speakup EATECH ALAM ICON should merge become a single mega OSV company.